Ventriloquist Jeff Dunham recently spoke with Music Recall Magazine. Check out MRM’s exclusive interview with Dunham below. 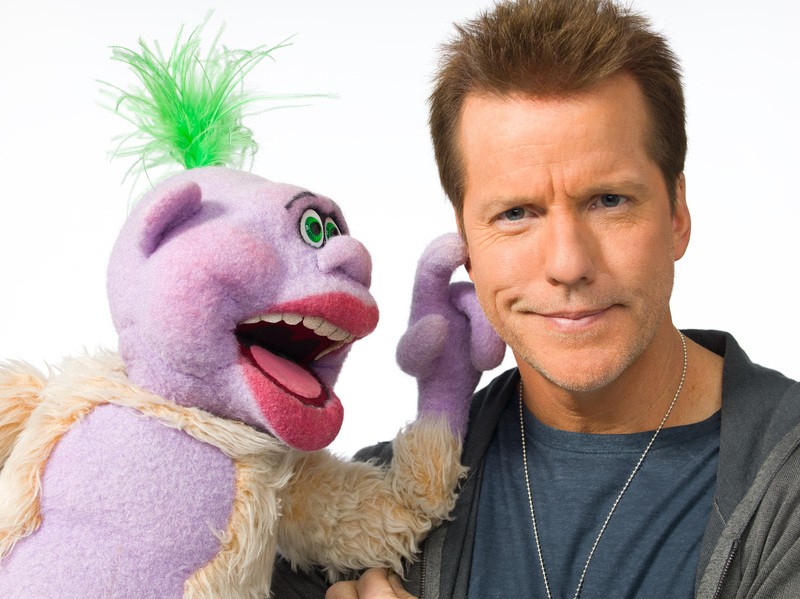 Jeff Dunham will be at the Bon Secours Wellness Arena in Greenville, SC on Friday, November 7 at 8pm. Tickets are still available and can be purchased at Ticketmaster.com, the Bon Secours Wellness Arena box office or by calling 1 (800) 745-3000. MRM: Growing up, were you a class clown? Dunham: Absolutely not… Not in the younger years, anyway. I was quiet, unremarkable, not popular, and horrible at sports. It wasn’t until I got a dummy and started performing in class and in the talent shows, making fun of the teachers, the principals, the coaches, and the school food, that I gained some recognition and confidence. But then I almost got kicked out of school my senior year for telling an off-color joke over the high school PA during morning announcements. Dunham: When people say that an artist or athlete or whatever kind of successful person has a ‘gift’, I think that’s paying that person a major disservice; Great success usually comes after someone has dedicated his or her life to the perfection of their given pursuit. If I have any kind of a gift, it was the drive to be successful and be the best that I could be; I had a passion. You’ve heard of the 10,000 hour idea: If someone is truly great at something, they’ve usually put in at least 10,000 hours of time perfecting their craft. That’s dedication; that’s a passion; that’s hard work. It’s not a gift… It’s hard work with sweat, tears, failure, success, victory, defeat, happiness, sadness, and sacrifice. So the short answer to your question is, there was never a realization of having a gift, but rather the blessings of being able to pursue my passion in life. they’ll make it big one day? Dunham: Never give up. Ever. Succeed and fail. Fail and succeed. And with your efforts and your own pursuits and successes, make sure you’re leaving this planet a better place than it was when you got here. MRM: What can you tell us about your upcoming “All Over The Map” special that premieres November 16 at 9 p.m. ET/PT on Comedy Central? Dunham: I still can’t believe the places I performed and how many people who were so very different in so many places around the world, all laughed at the same things. It made me realize that we’re really not all that different. For example, I was in an Arab country one night in front of thousands of Muslims, and then the next evening was in Israel in front of thousands of Jewish people; Both audiences loved the shows equally, and I changed my act very little from one country to the next. It was very special and moving for me. As corny as it may sound, I walked away with a new hope for all of us as humans. The world isn’t as dark and scary as some might think after watching the evening news these days. It’s quite the opposite. I really feel like most of us are good people, and it’s only a few idiots that cause so much of the garbage in the world today. MRM: Thank for the interview Jeff. See you in Greenville this Friday!